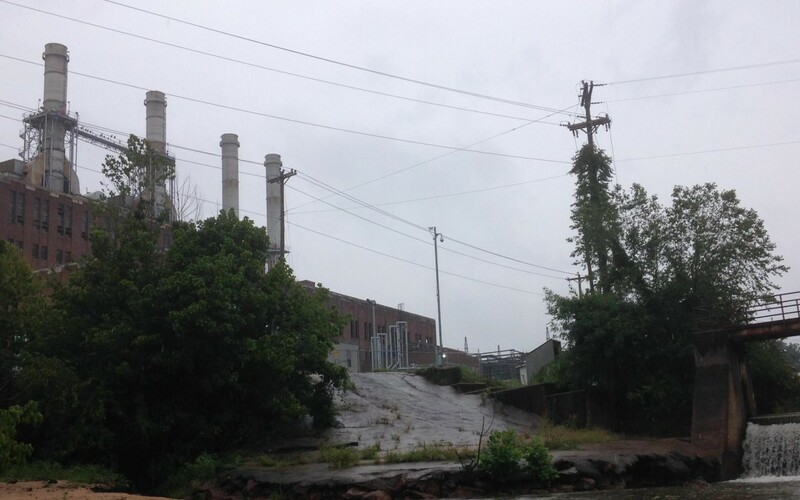 Mooresboro, N.C. — Recent sampling by the Broad Riverkeeper and MountainTrue confirms that Duke Energy is continuing to pollute groundwater and surface water with toxic heavy metals at its coal-fired power plant near Cliffside, N.C.. The team used a sampling method to tap into shallow groundwater near the edge of the Broad River at three locations: upstream and across the river from the Duke Energy plant (used as a “background” location for sampling purposes), next to an inactive coal ash pit and next to the active coal ash pit. The results of an independent laboratory analysis of the samples show significant increases in the levels of toxic heavy metals when compared to the cross-river background samples, including chromium levels more than 40 times higher than background and lead levels 30 times higher than background. Chromium 25 times higher than background and two times higher than the groundwater standard at the inactive basin. Chromium 42 times higher than background and three times higher than the groundwater standard at the active basin. Lead 20 times higher than background at inactive basin and 30 times higher than background at active basin (exceeding GW standard). Boron was not present in background, but was found in samples taken near the inactive and active ash basins. Calcium seven times higher than background at active basin. Aluminum 37 times higher than background at active basin. Arsenic twice as high as background at active basin. Vanadium 38 times higher than background at the active basin.